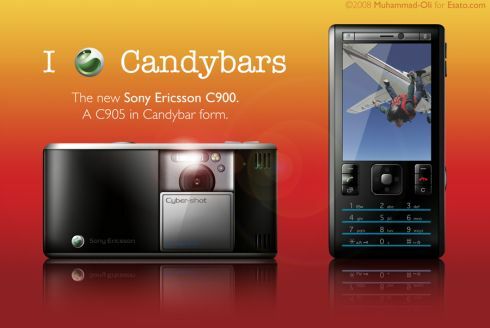 Muhammad-Oli from Esato hits the spot again, creating a candybar version of the famous Sony Ericsson C905. Yes, there are some of us who really dig candybar designs, instead of sliders. The specs of the C905 are the same, but Oli also added stereo speakers to the phone. Great work! ©	2019	Concept Phones. All Right Reserved.